I think that after traveling through China and riding on so many over-night trains I now know exactly what to expect and what to bring along for the ride. Armed with pot noodles and cans of ice-coffee and ice-tea we made the 17 hour train journey from Xian to Beijing. Arrived early morning in Beijing we only had time to leave our bags at the hotel before starting our day of exploring. 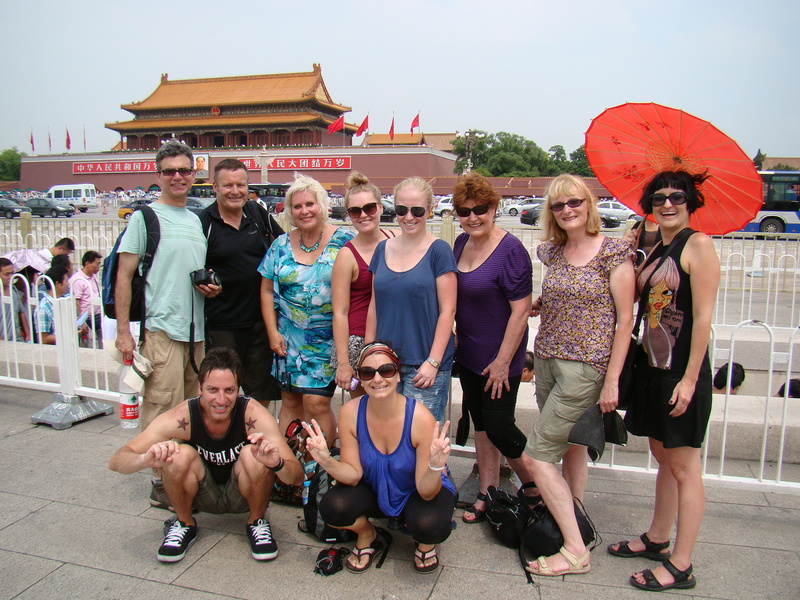 We walked up to Tiananmen square which was located just up the road from our hotel. It was really not very far away but by the time we reached the entrance sweat was dripping down my back. I couldn’t believe it was this hot and humid already, it was only 10am and I was dying to have a cold shower! Tiananmen Square is a large city square in the center of Beijing, China, named after the Tiananmen Gate (Gate of Heavenly Peace) located to its North. This Square is the third largest city square in the world. 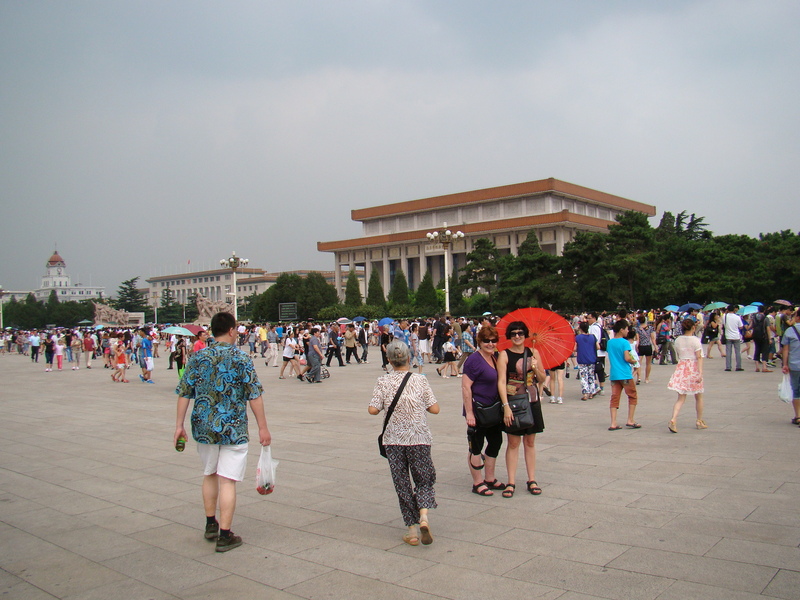 The Tiananmen square was designed and built in 1651, and has since enlarged four times its original size in the 1950s. It has great cultural significance as it was the site of several important events in Chinese history. I think that the square is best known to us foreigners as the focal point of the Tiananmen Square protests of 1989. It was a pro-democracy movement which ended on 4 June 1989 with the declaration of martial law in Beijing by the government and the death of several hundred or possibly thousands of civilians. One of the most famous images that appears during these protests was when a man stands in front of a moving tank and refuses to move. This became a revolutionary icon in fighting against the government at the time. We entered Tiananmen Square through the south gate known as Qianmen and had to walk through metal detectors before being allowed onto this famous Square. We walked across the packed square. Getting to stand in the middle of this Square where one of the most famous massacres in history took place was such a moving experience. Im standing on Tiananmen Square!!! 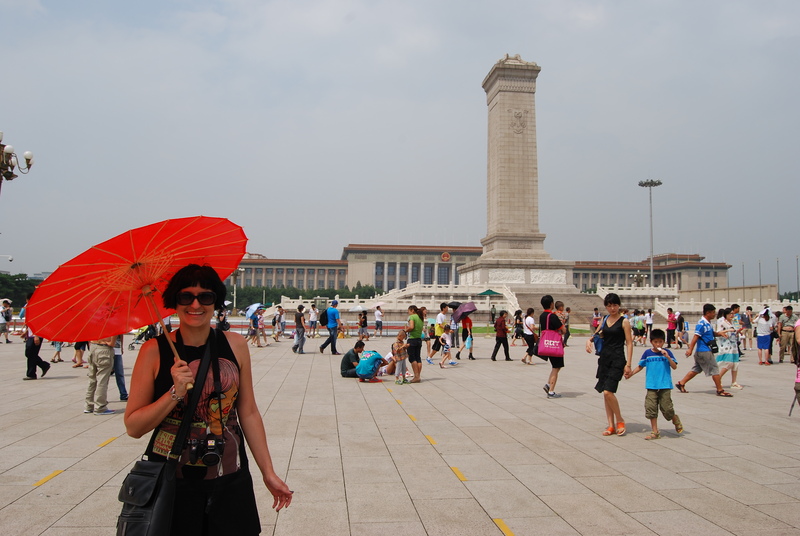 Me and mom stansing on Tiananmen Square with the mausoleum behind us. 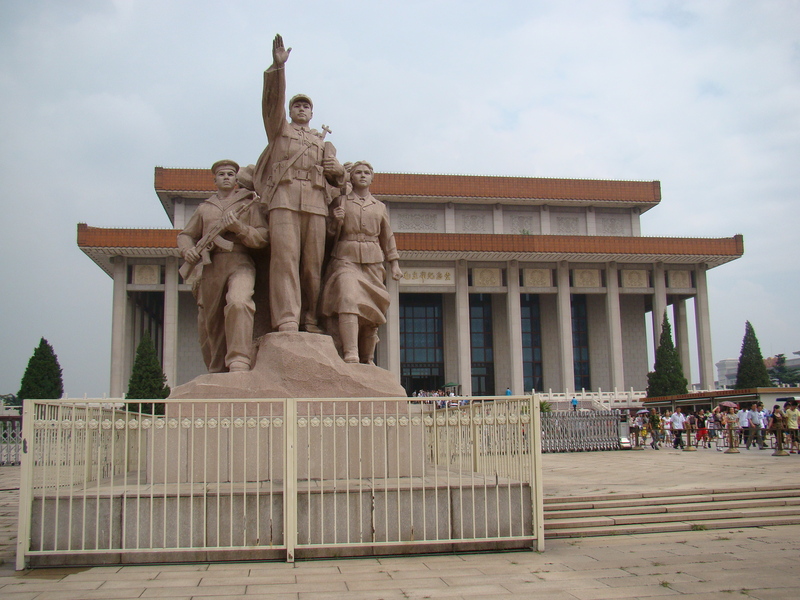 The year after Mao’s death in 1976, a Mausoleum was built near the site of the former Gate of China. People were lined up as far as the eye could see waiting for their chance to enter this mausoleum and get a look at the embalmed body of Mao. We were not going to waste a couple of hours standing in line for this and rather explored the huge square before going into the Forbidden City. The huge bronze Monument to the People’s Heroes was breathtakingly huge and stood out above the crowd filling this huge square. Thousands of people come to the Square every day so it is quite crowded. 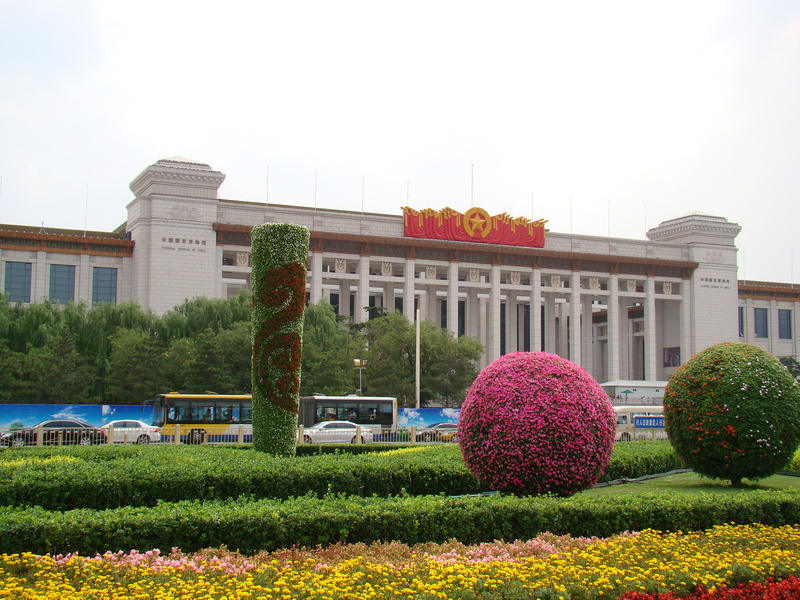 Along the east side of the Square we passed the National Museum of China with its beautifully sculpted gardens (dedicated to Chinese history predating 1919). The Square is heavily monitored by uniformed and plain clothes policemen. The granite Monument to the People’s Heroes is just at the center of the square. Built in 1952, it is the largest monument in China’s history. ‘ The People’s Heroes are Immortal’ written by Chairman Mao is engraved on the monument. Eight unusually large relief sculptures show to the people the development of Chinese modern history. Two rows of white marble railings enclose the monument, simple and beautiful. 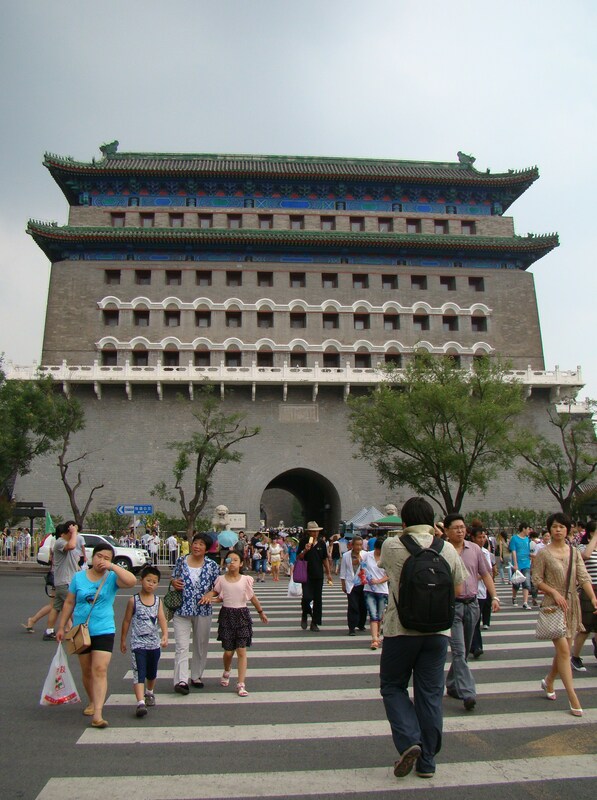 The Tiananmen Gate to the Forbidden City was built in 1415 during the Ming Dynasty. This gate separates the Tiananmen Square from the Forbidden City that lies just across the road. Interesting post. I have been told by Chinese international students that the Tiannamen massacre never happened, it was just western propaganda! Yet I saw the footage on the TV all those years ago. I can’t forget that. It is amazing that a country can just wipe out a piece of its history in the minds of its children…its sad that they think it is all a myth. It was a very shocking part of their history that they should know of and learn from, I think. Thanks Bams! It was a wonderful adventure and must say the umbrella did help a bit against the harsh summer heat. Thank you!! I love these Chinese umbrellas and couldnt resist buying more than one during my adventure. You seem to be full of energy despite the heat and long travels. 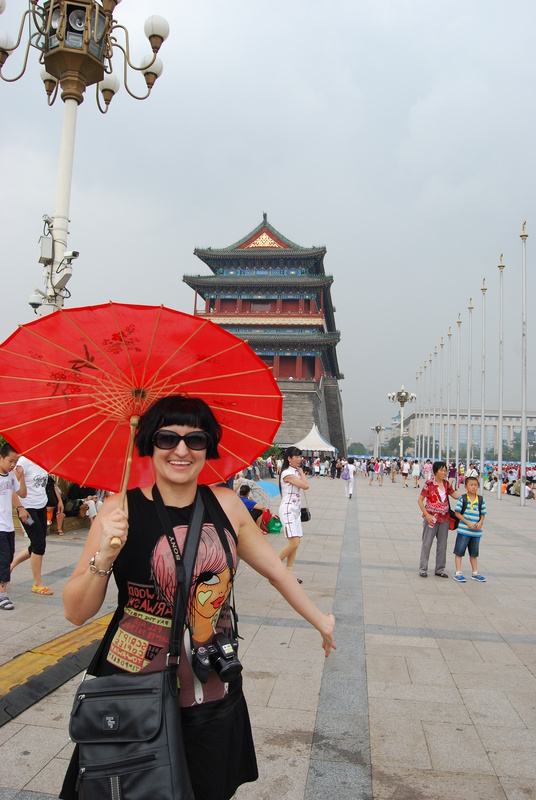 Thanks Bebs….I must admit that at times the humidity did get to me but I didnt let it stop me from having a fabulous time exploring China! Thank you!! 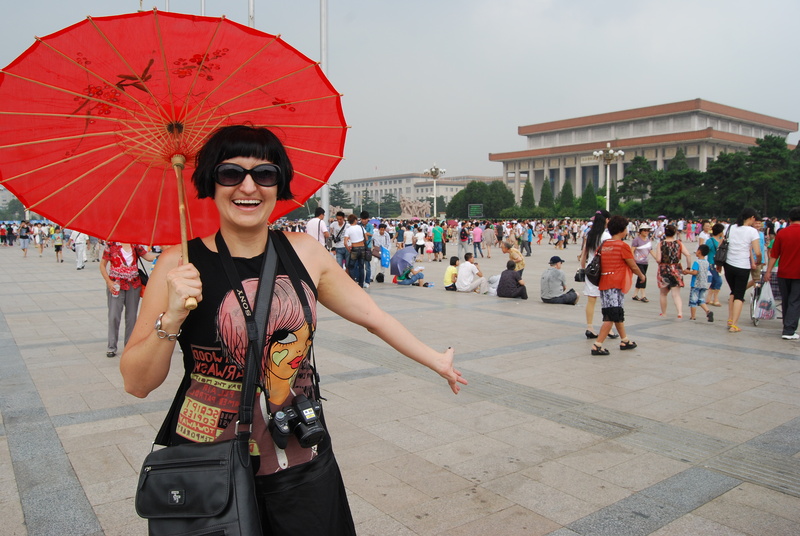 I had so much fun playing with my new Chinese Umbrella that day! great blog and photos Janaline! love the red umbrella! thanks for sharing! Thank you!! The umbrella was a cheerfull and actually quite usefull addition as it was quite hot during the day and I could hide under the little shade it provided. Thank you!! 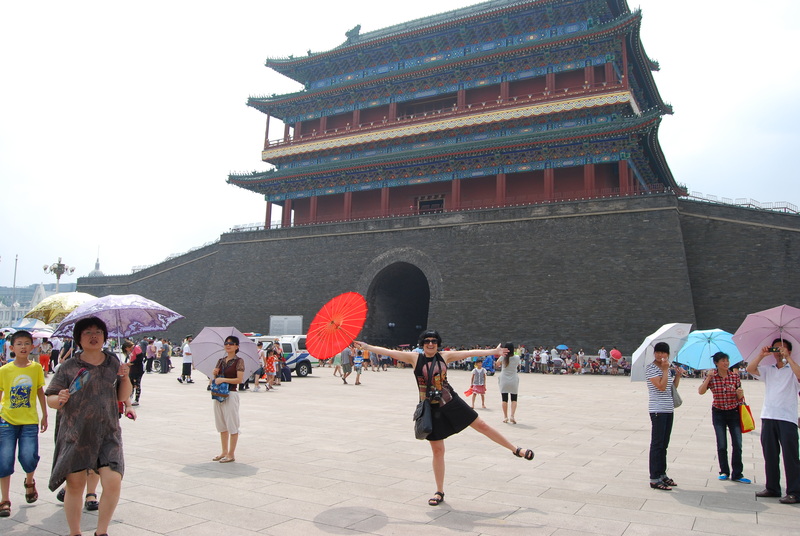 I must say I enjoyed every trip and place we explored in China so much….I would love to go back someday. Thanks Amy! 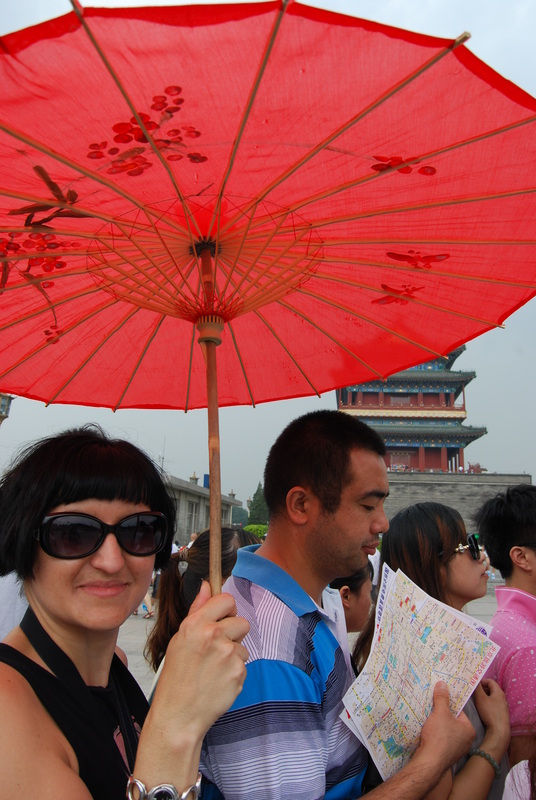 I love these playful Chinese umbrellas and ended up buying another one before the end of the tour. 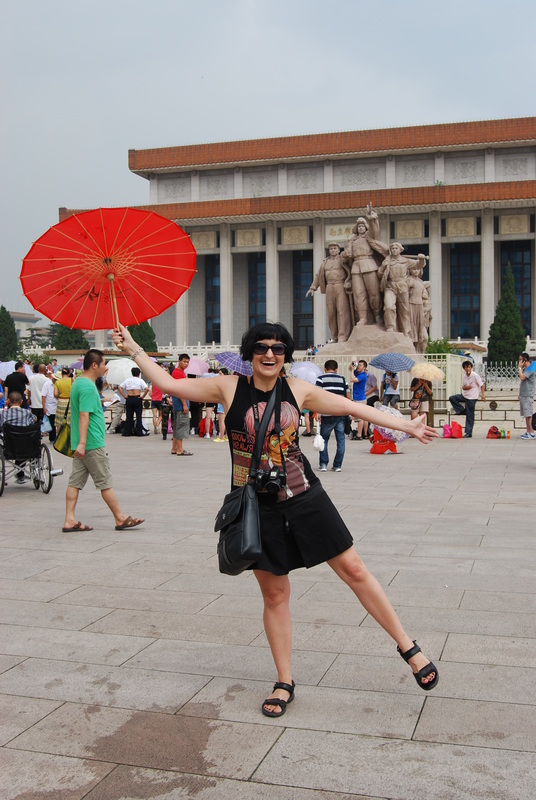 Very lovely photographs of interesting architecture and people in Tiananmen Square. Thank you Chrisstov. It was such a beautiful place to photograph, just a pitty it was so crowded. Thanks Madhu! Ended up being a blessing against the super hot sun! I was there in 1979. Back then, bicycles outnumbered cars and soldiers on the street outnumbered tourists. Things have certainly changed now. I can just imagine that it would have been much less crowded back then but that the people also had less freedom….